Ships today if you order in the next 3 hours 20 minutes. 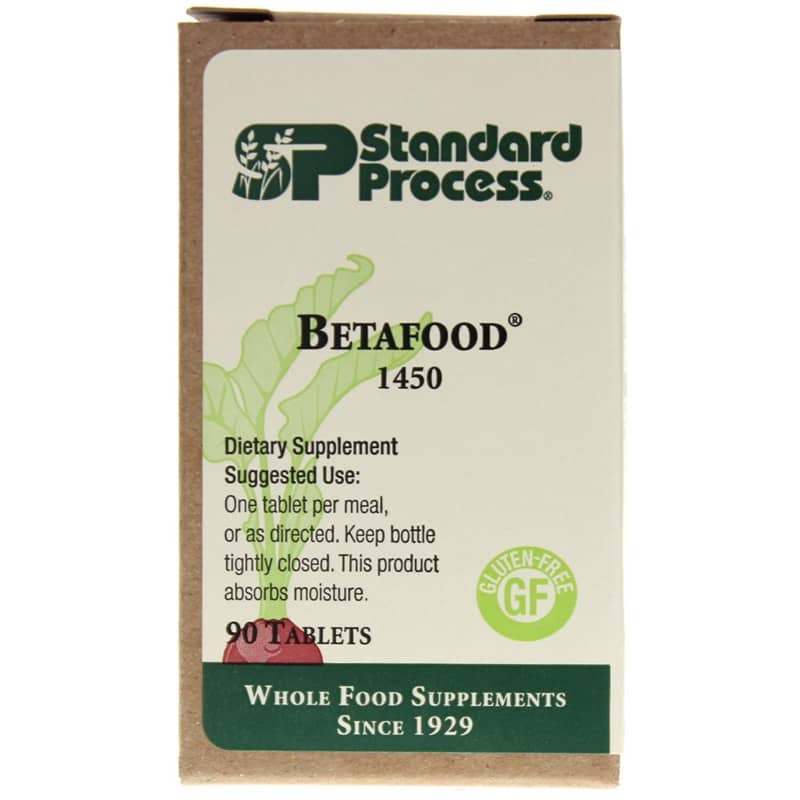 Betafood by Standard Process is a natural digestive aid that contains beets to support digestion and intestinal function. Other Ingredients: Honey and calcium stearate. Gluten-free. Adults: Take one tablet per meal or as recommended by a healthcare professional. Keep bottle tightly closed. This product absorbs moisture.